MI Paste Plus™ is a water-based creme containing RECALDENT™ a milk derivative, (CPP-ACPF – casein phosphopeptide-amorphous calcium phosphate fluoride) with incorporated fluoride to aid in tooth remineralization and caries prevention. 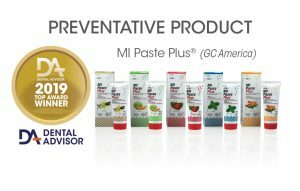 MI Paste Plus is indicated for use as a topical treatment in the following types of patients: high-caries risk, xerostomia, orthodontics, post-bleaching, oncology, pediatric, and high plaque/special needs. MI Paste Plus is designed to provide extra protection for teeth and neutralize acid challenges from acidogenic bacteria in plaque and other internal and external acid sources. MI Paste Plus may be used in-office in a tray or applied with a swab, gloved finger, or an interproximal tooth cleaning brush. It can also be sent home with the patient for at-home application. MI Paste Plus is available in Strawberry, Melon, Vanilla, Mint, and Tutti Frutti flavors in assorted and single-flavor packages of mint and vanilla. MI Paste Plus is the only product for professional use containing RECALDENT™ enhanced with 900 ppm sodium fluoride. One case contains 10, 40 g tubes and professional instructions for use. MI Paste Plus was used by 33 consultants in 795 cases. It received a 97% clinical rating. MI Paste Plus is creamy and easy to apply in-office or by patients at-home. 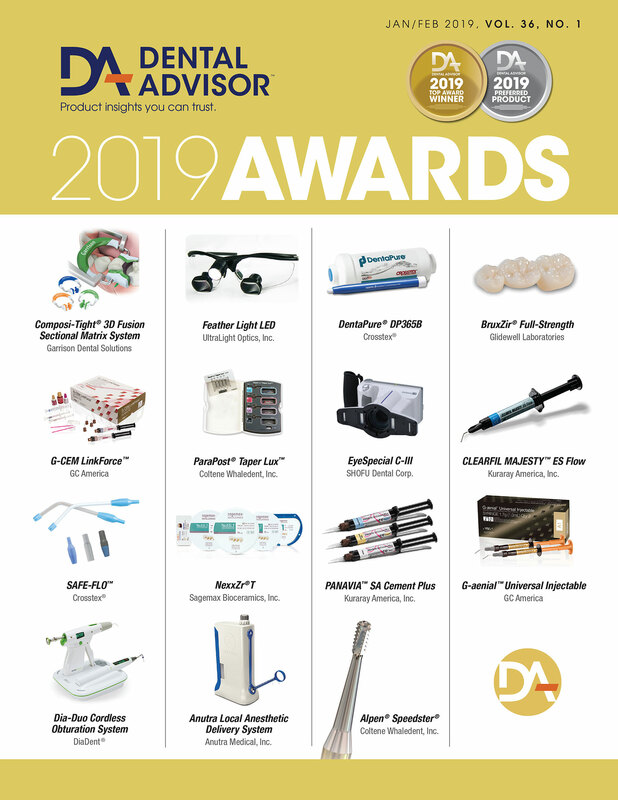 Hygienists applied MI Paste Plus to root surfaces before scaling and received excellent feedback from patients regarding reduction in sensitivity. It also worked very well for reducing hypersensitivity for some patients who used it at-home. Eighty-five percent would switch to it and 97% would recommend it. Avoid use in patients with allergies to milk (casein) protein or benzoate preservatives. RECALDENT ™ (CPP-ACP is milk derived with lactose content less than 0.01%. At home application can be either clean finger application or custom tray. MI Paste Plus can be left on overnight. Stress to patients the benefits of long-term use.